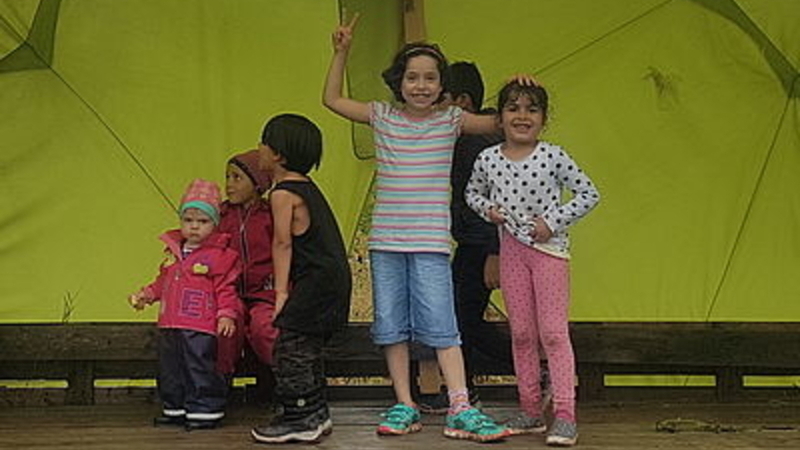 Despite partly pouring rain kids had great fun, playing eating and celebrating last Saturday at the children’s party in the garden of encounters in Traiskirchen. The organizers and visitors bravely withstood the floods – the children naturally found the storm exciting! At the children’s festival, the European network “Snapshots from the borders” was presented. Thirty-one cities, municipalities and associations have joined forces to learn from each other and to work together for a solidarity-based European migration policy. The network is managed by the municipality of Lampedusa and Linosa in Italy, the municipality of Traiskirchen is part of this network.